This week on Take 4 Wrestling, Brian and JT Hogg discuss WCW’s last PPV! It’s WCW Greed! Also on this week’s show, the gimmick of the week is a favorite of Brian’s, Mortis! Next week we are watching AWA Superclash! This week on Take 4 Wrestling, Brian and JT Hogg discuss “ECW’s” December to Dismember 2006! The gimmick of the week is The Missing Link! 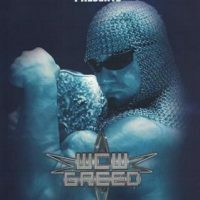 Next week we are watching WCW’s Greed! This week on Take 4 Wrestling, Brian and JT Hogg talk about a more recent show than normal, Summerslam 2013! It’s a great show, people! The gimmick of the week this week is Mordecai! This week on Take 4 Wrestling, Brian and JT Hogg discuss Monday Night Raw from March 31st, 2008! 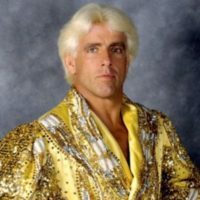 It’s Ric Flair’s retirement! Also, this week’s gimmick of the week is JT’s hero Henry O. Godwin!